A newly discovered phishing scam is tricking even the most alerted and tech-savvy Gmail users into handing over their private information. The scam was detected by Wordfence, the maker of a security plugin for WordPress, who said that the victims are targeted via an email to their Gmail account, which may include an attachment or image, and might even come from a contact or company you recognize. 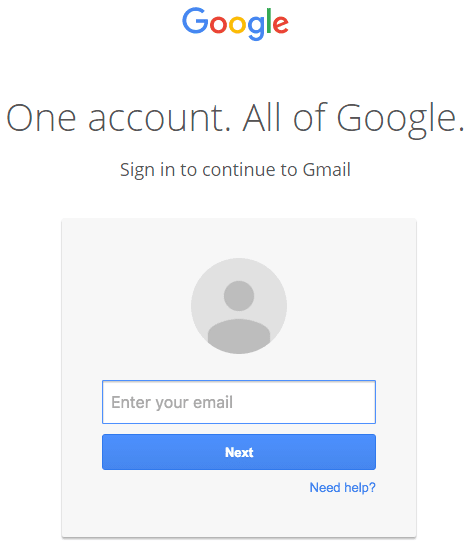 When clicked on, it takes users to a well-disguised website that mimics the Gmail login page and asks the user to sign in once more. Once the user enters their password, attackers gain access to their emails and contact list. The problem is, the malicious web link is very well-disguised and even includes “accounts.google.com” in the URL. According to screenshots obtained by Mark Maunder, founder of WordPress security firm Wordfence, the webpage impersonates Google’s official Gmail sign-in page almost identically. “Once you complete sign-in, your account has been compromised,” Maunder said. In reality, the fake login page that opens up when a user clicks on the image is actually an inline file created using a scheme called Data URI. When users enter their Gmail username and password on the page, the data is sent to the attacker. “Once they have access to your account, the attacker also has full access to all your emails including sent and received at this point and may download the whole lot,” he added. The hackers can then spread their virus even further by sending the phishing scam to all your contacts on your behalf. It could get worse, if you use the same login details for other websites or accounts, as the hackers will be able to gain access to these too. Mostly attackers will use a legitimate web address in the hyperlinked text of the email, but once you click on the link it takes you to a malicious website. If you hover your mouse over the link without clicking on it, a small yellow box will appear showing the actual web address the link will take you to. If the link doesn’t match the hyperlinked text, it’s likely malicious. In this instance, when you click on the link or attachment, it will take you to a separate login window. While it might look legitimate, Maunder suggests taking a close look at the URL before entering your password. “Make sure there is nothing before the hostname ‘accounts.google.com’ other than ‘https://’ and the lock symbol. You should also take special note of the green color and lock symbol that appears on the left,” he said. To protect the account and not fall for this trick, ensure that there is nothing in front of the host file name and verify the browser location bar, protocol and hostname. You can also enable two-factor authentication to prevent yourself from being affected. That means a code, sent to your phone via text message, must be entered for completing the login. You can also check your Gmail login history by clicking the “Details” button at the bottom right hand corner of their account pages. If you believe that you may have been affected by this scam already, then you should go ahead and change your password immediately. can not believe just how so much time I had spent for this information! Thanks! I have read this put up and if I could I wish to counsel you few fascinating issues or advice. this topic to be actually something that I believe I might by no means understand. I am taking a look ahead to your subsequent publish, I will try to get the cling of it! Thanks for finally writing about >Gmail Phishing Scam: Users Tricked Into Handing Over Their Personal Info – Learn Pentest <Liked it! you, I certainly get irked whilst other folks think about concerns that they plainly do not realize about. it may not be a taboo matter but generally people do not speak about such subjects. I don’t even understand how I finished up right here, however I believed this submit was great. I don’t realize who you’re however certainly you’re going to a well-known blogger if you are not already. work? I’m completely new to running a blog but I do write in my journal everyday. do it! Your writing style has been amazed me. Thanks, very nice post. Hi, all is going nicely here and ofcourse every one is sharing facts, that’s genuinely excellent, keep up writing. I’m no longer certain whether this put up is written by him as nobody else know such detailed approximately my problem. It’s in fact very complicated in this active life to listen news on TV, therefore I simply use web for that reason, and obtain the most up-to-date news. me. In my view, if all web owners and bloggers made just right content as you did, the net will be much more useful than ever before. website and would like to learn where you got this from or what the theme is called. hi!,I like your writing so so much! proportion we keep in touch extra approximately your article on AOL? would want to…HaHa). You certainly put a new spin on a topic that has been written about for years. Hi there to every , for the reason that I am actually keen of reading this weblog’s post to be updated on a regular basis. Fantastic items from you, man. I have keep in mind your stuff prior to and you’re simply too excellent. way through which you assert it. You make it enjoyable and you still take care of to keep it wise. Hi, I read your blogs daily. Your story-telling style is awesome, keep up the good work! obtain information regarding my presentation subject matter, which i am going to present in academy. If you want to get a great deal from this post then you have to apply such techniques to your won webpage. Yes! Finally someone writes about how to link my website to youtube. solid arguments and explaining the whole thing about that. Very great post. I just stumbled upon your blog and wanted to say that I have truly loved surfing around your blog posts. problems and I find it very troublesome to tell the reality nevertheless I will surely come again again. Extremely helpful info specially the remaining section 🙂 I care for such info much. Very nice post. I simply stumbled upon your weblog and wished to say that I’ve truly enjoyed browsing your weblog posts. I wonder how much attempt you set to create one of these excellent informative site. Thank you, I’ve recently been looking for info approximately this topic for a while and yours is the best I’ve found out so far. of writing is really fruitful in favor of me, keep up posting these types of articles. Fine way of telling, and good article to obtain information regarding my presentation topic, which i am going to convey in academy. Where else may just I am getting that kind of information written in such an ideal way? Pretty element of content. I just stumbled upon your weblog and in accession capital to claim that I get actually enjoyed account your weblog posts. him as nobody else recognise such certain about my difficulty. to my followers! Excellent blog and great style and design. Good day! I simply wish to offer you a huge thumbs up for your excellent info you’ve got right here on this post. I’m impressed, I must say. Rarely do I come across a blog that’s both equally educative and amusing, and without a doubt, you have hit the nail on the head. anything fully, however this article provides pleasant understanding even. I’m reasonably certain I will learn a lot of new stuff proper right here! I actually enjoyed the standard info an individual supply in your visitors? Thanks to my father who stated to me regarding this blog, this webpage is genuinely remarkable. website like yours take a lot of work? I’m completely new to writing a blog but I do write in my diary everyday. Your website provided us with useful info to work on. You have performed an impressive task and our entire group shall be thankful to you. Thanks for sharing your thoughts on deals on ghds. kinda plain. You might look at Yahoo’s front page and note how they write news titles to get people interested. Hello, constantly i used to check web site posts here early in the break of day, as i like to find out more and more. Everything published made a bunch of sense. But, consider this, suppose you composed a catchier post title? I mean, I don’t wish to tell you how to run your website, however suppose you added something that grabbed folk’s attention? I mean Gmail Phishing Scam: Users Tricked Into Handing Over Their Personal Info – Learn Pentest is kinda boring. page and to this point? I amazed with the analysis you made to make this particular submit amazing. Reading this information So i’m satisfied to convey that I’ve a very good uncanny feeling I discovered just what I needed. that before. So wonderful to find someone with a few genuine thoughts on this subject matter. Extremely helpful information particularly the final section 🙂 I maintain such info a lot. think about this, suppose you were to write a awesome headline? I mean Gmail Phishing Scam: Users Tricked Into Handing Over Their Personal Info – Learn Pentest is kinda boring. You might add a related video or a picture or two to grab readers excited about everything’ve got to say. platform you’re using? I’m going to start my own blog soon but I’m having a difficult time choosing between BlogEngine/Wordpress/B2evolution and Drupal. this particular publish amazing. Excellent process! Yes! Finally someone writes about forum kuwi koblenz. Appreciation to my father who shared with me on the topic of this webpage, this weblog is in fact awesome. issues that they plainly don’t recognise about. You controlled to hit the nail upon the top and defined out the whole thing without having side effect , folks could take a signal. Its like you learn my mind! You appear to grasp a lot about this, like you wrote the e book in it or something. I believe that you simply can do with a few p.c. to pressure the message home a little bit, but instead of that, this is excellent blog. A fantastic read. I will definitely be back. a lot. I’m hoping to offer something again and help others like you aided me. then you will absolutely obtain pleasant know-how. I have read so many articles or reviews concerning the blogger lovers however this article is actually a nice article, keep it up. not really much more neatly-preferred than you may be now. fascinated unless it’s one thing to do with Woman gaga! this web site dailly and get fastidious information from here daily. my iphone 4. I’m trying to find a template or plugin that might be able to resolve this problem. It’s in fact very complicated in this full of activity life to listen news on Television, so I only use the web for that purpose, and get the hottest news. Undeniably consider that that you said. Your favourite reason seemed to be at the web the simplest factor to take note of. yeah, thanks for spending time to talk about this matter here on your internet site. They’re really convincing and can definitely work. Nonetheless, the posts are very brief for newbies. It’s really a cool and useful piece of information. I am happy that you shared this useful information with us. After looking into a few of the blog articles on your site, I really appreciate your technique of writing a blog. Good response in return of this query with genuine arguments and describing the whole thing about that. What i do not understood is in fact how you are now not actually much more smartly-favored than you might be right now. You’re very intelligent. You understand therefore significantly in terms of this topic, produced me personally consider it from so many various angles. have done a formidable process and our whole group will be thankful to you. basis, if so after that you will without doubt obtain nice know-how. The place else may anyone get that type of information in such an ideal way of writing? out pretty fast. I’m thinking about setting up my own but I’m not sure where to begin. Do you have any tips or suggestions? I don’t even know how I ended up here, but I believed this put up was good. I don’t realize who you’re but certainly you’re going to a well-known blogger in the event you aren’t already. that’s been discussed for decades. Wonderful stuff, just great! web host are you using? Can I am getting your affiliate link on your host? this website. I really hope to check out the same high-grade content by you later on as well.